For us who use the computer almost every day for work or even personal stuff, we sometimes have the tendency to be slackers in keeping things organized. One basic thing we neglect to do is keep track of the files we have stored on our computers. What tends to happen is that duplicate files are created. It is never really easy to keep in mind which ones we already have saved and which ones are new (well not just based on the date that is). Now then comes the time that we need to declutter (since these files eat up storage space) it is a tedious task to filter the duplicates. For the type who is patient enough to go through everything it can be done manually but we have to admit that is so time-consuming and is really not ideal. There are easier ways to do it like using your computer's Terminal Command or third-party apps that will do the job for you. 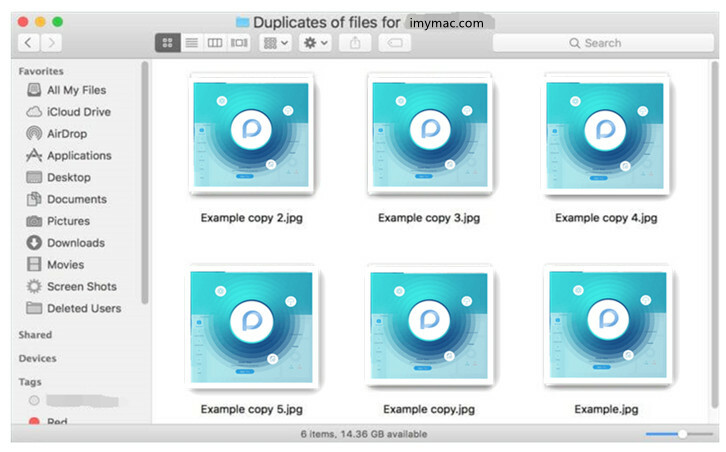 Read on to find out which is the more efficient way to go about finding duplicate files on your Mac. Part 3: Don't want to break a sweat? Let the iMyMac-Duplicate Finder do it for you. How to Edit Mac Hosts File? How to Recover Deleted Files on Mac? Want to be thorough and check yourself you are actually deleting just the duplicates? This can be done through your Mac's Finder window. You can choose which parameter to sort through i.e. size, file type, date created etc. The ideal way to go about it is by the name of the file which will make it easy for you to see which ones have the same file name. Here are the steps on how to do it manually. Step 2: Then go to your Apple menu select File then choose New Smart Folder. Step 3: To choose which parameters or filters to use click on the "+" icon at the top right corner of the panel. You can even select more parameters to include in your search i.e. file extension, image kind, page count, part of the name of the file, etc. For people who don't know the basics of using terminal commands this part will be enlightening. Although it is highly advised to be extra careful to not mess up an integral part of your Mac's system. Just follow the simple steps we have for you below. Step 1: Use the Spotlight search to find the Utilities folder which would allow you to open the Terminal Window. Step 2: To be able to scan and navigate through all your folders one by one use the cd command followed by the folder name for example cd videos. Then hit enter (be mindful of what you type on the command line, always double check before proceeding). A text file will be created that consists of all the duplicates in the specified folder that you chose. The downside of this is you would still need to separate the originals from the duplicates. It just made it easier for you by laying out all the files in the folder but not really finishing the job of making it easier to just take care of the duplicates and get it removed. Time-consuming, frustrating and tedious are just a few words to describe what it would be like to go through each and every file you have just to make sure that you'd be able to erase duplicate ones. 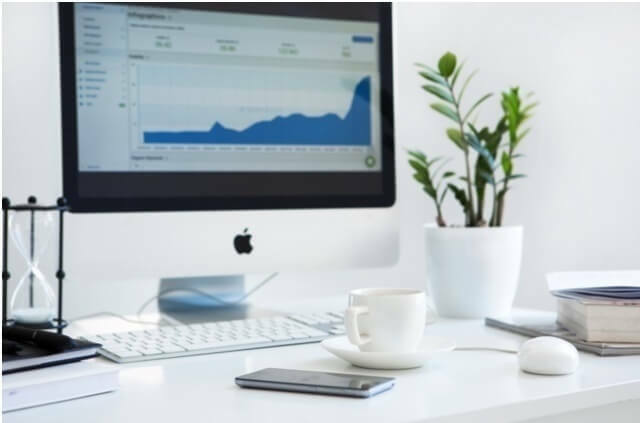 It is never really easy to manage what you have stored over time and no one ever really wants to have a hard time decluttering to get everything organized and make room for more data to be stored. We got just the thing for you. There are multiple third-party tools out there that you would find but the best rated one yet is the iMyMac-Duplicate Finder. What sets it apart is that it efficiently scans all your stored data and finds the duplicate ones even if it is under a different name. How is it done? Simple, it bases it on the content, not just the file name. It can find and filter duplicates for different types of files i.e. documents, photos, videos, and even music. It just doesn't delete it without you being able to make sure that nothing important gets erased. 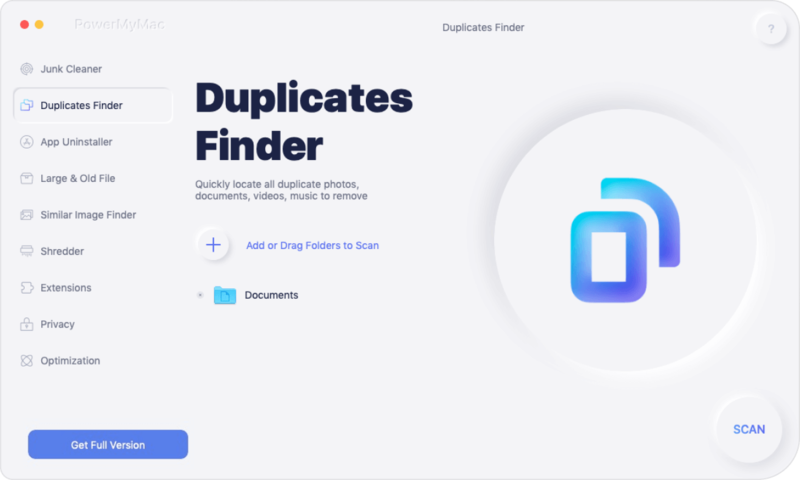 The Duplicate Finder gives you a detailed preview of all scanned contents for you to review before you proceed to delete the items you no longer wish to keep. Here are the few simple steps to successfully and quickly do away with your clutter and get back some extra storage on your computer. Once you have completed the installation process on your Mac, launch the program (cool thing is you get to try the software and have the Free Mac cleaner with 500mb.) On the left side of the screen, it will show you it's main control dashboard. Select the Duplicate Finder then click on "Scan". Step 2: Your Mac will now be scanned for duplicate files. The scanning process will now commence which would take a few minutes. 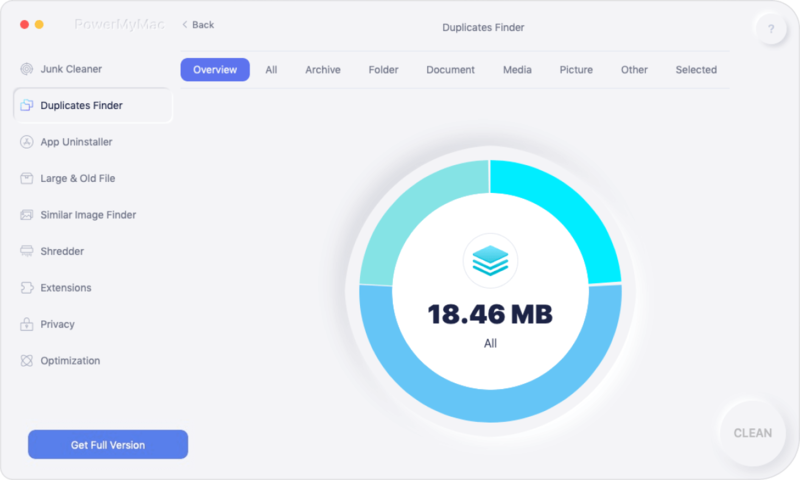 The iMyMac-Cleaner will display the result once it is finished scanning for duplicate files and will allow you to see the percentage of the total duplicate files that were found, not only that it will even give you the actual total. As mentioned above you will be able to review the scanned duplicate files to make your selection before proceeding to delete. It will be categorized based on file type to make it easier for you to go over it. Once you have made sure of which ones to remove simply tick it then click on the "Clean" button. It is really hard to keep track of what you accumulate on your computer over time. This causes excess files that are really not needed to consume disk space which results to your computer's performance to slow down. 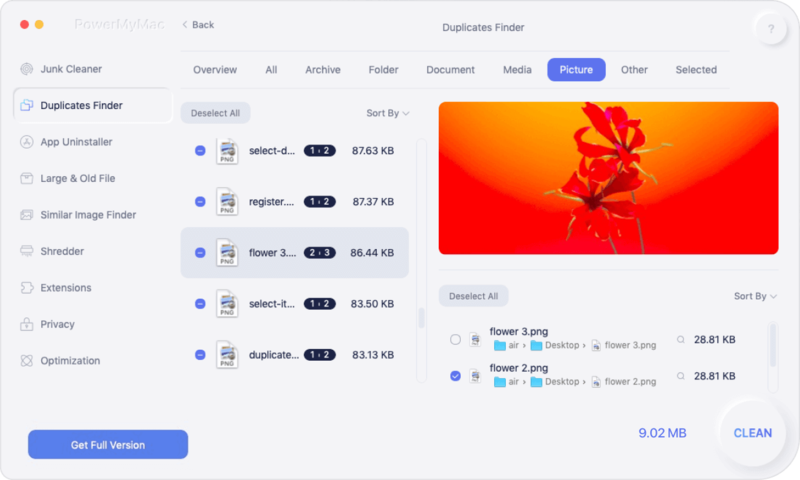 Now with the iMyMac-Duplicate Finder, you will find it easier to search, filter and remove files that you no longer use or need. Download it today and enjoy not just the Duplicate Finder but also the other features the iMyMac cleaner has in store for you.